180-gram LP 50th Anniversary Stereo Edition! 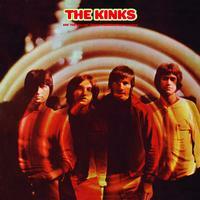 Featuring "Village Green," "Starstruck" and "Johnny Thunder"
Enduring and unsurpassed, with its wit, sadness, quiet anger, regret and charm, it is generally considered the high point of The Kinks' outstanding career and Ray Davies' masterpiece. A calm, nostalgic album which feels like a sweet, hazy dream but with endless layers of musical and lyrical innovation, The Village Green Preservation Society's defiantly British sensibilities became the foundation of generations of British guitar pop. God Save The Village Green!